The Jewel Match series is one of the hit games in the match-3. This new release, Jewel Match Royale 2: Rise of the King Collector's Edition, is going to please both the old fans of the series and the new to the game or the genre! This game being CE offers a big adventure and a whole lot of extra little additions and options to make it so much fun! 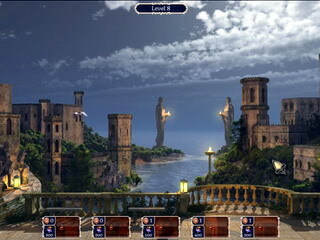 Some of the levels have several parts that you complete one after another. 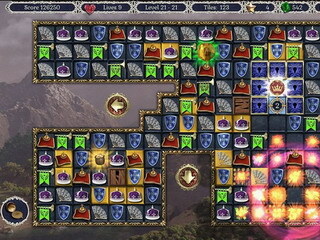 While most match-3 games feature bright and shiny tiles, this one has an atmosphere of medieval kingdoms, battles, and victories. The tiles, the boards, and all the extra levels are all Merovina kingdom-themed. You play as Matthew who goes after an evil Lord in the Merovina kingdom and he might just become their new king if he wins. The game falls strictly into the match-3 genre, but you are getting for much more than just the matching levels. Every once in a while you are going to come across a hidden object scene, a jigsaw puzzle, or a mahjong puzzle. There is also a shop that you want to stop by every now and then to purchase different items that can help you reach your goals. If you look at the map of all the levels, you can tell that there are quite a few match-3 levels in this game (180 to be exact). 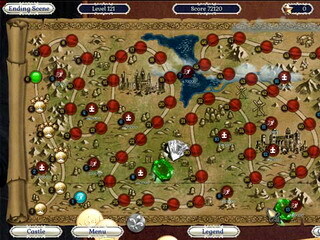 Some of the levels have several parts that you complete one after another. If you get to have some extra time left when you are done, you can go back and search for more bonus items. Of course, you get power-ups through big matches (four tiles give you a Chroma Plate; five tiles give you a Royal Arrow). One of the best features of this particular game is all the options for customization, some of which you can change on the go. You decide if you want hints and tutorial. Then you can decide what mode you want to play in (Timed, Limited Moves, or Relaxed). Then you choose if you want to play that mode in the Normal or Advanced difficulty setting. And if you change your mind, you can always switch between them as you play and that will not affect your current status. Jewel Match Royale 2: Rise of the King Collector's Edition is a wonderful match-3 game to keep you busy for a while! This is Jewel Match Royale 2: Rise of the King review. Download this game here.